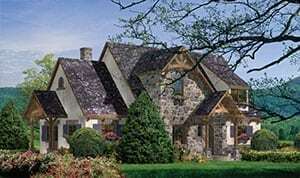 In our ongoing campaign to help you visualize your ideal timber frame design, we have chosen three more plans to modify. A different paint color or an alternative siding material might cause you to give these three plans another look. While stone is a great way to finish a French-country inspired design, see how you feel about these other options. You may want to revisit the Lyon floor plan and see if it inspires your own home. 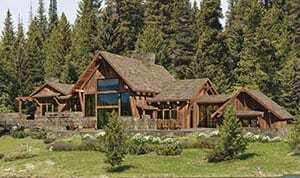 Many people visit the Riverbend site looking for timber frame cottage ideas. With a new look and feel, the Greenbrier may be just what you were searching for. 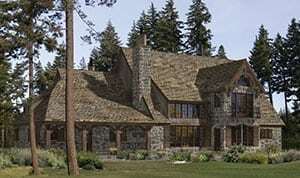 This original concept was conceived with a Pacific Northwest exterior. By changing the materials, it is easier to see how this unique stepped layout could fit into your neighborhood.